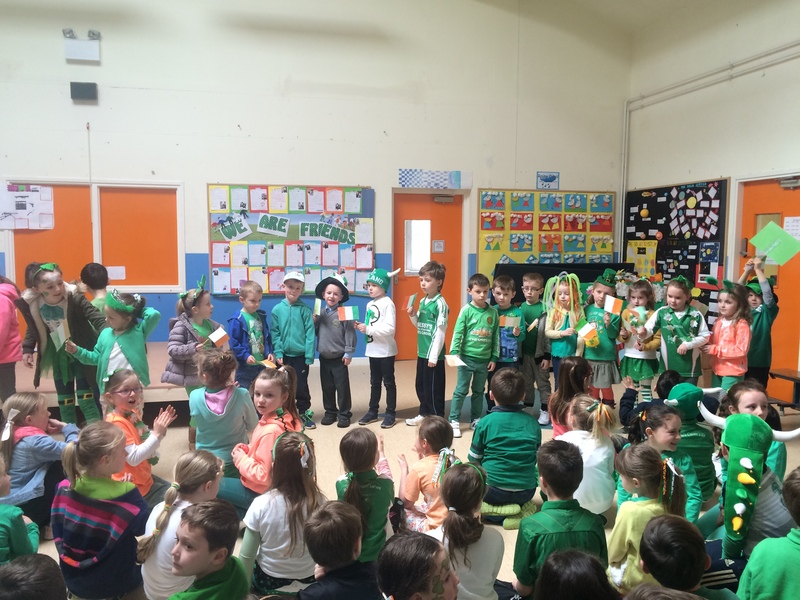 On Tuesday, March 15th, all of our staff and pupils, and some parents, got together to celebrate Proclamation Day. 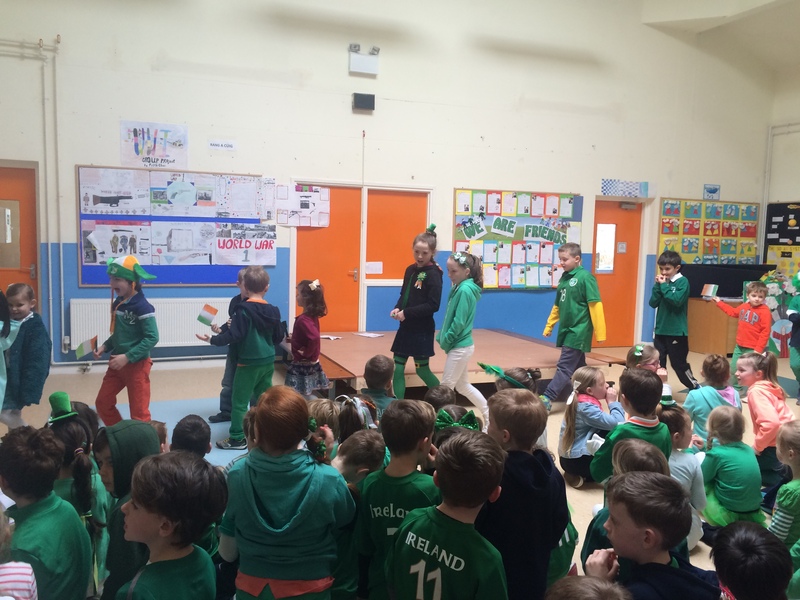 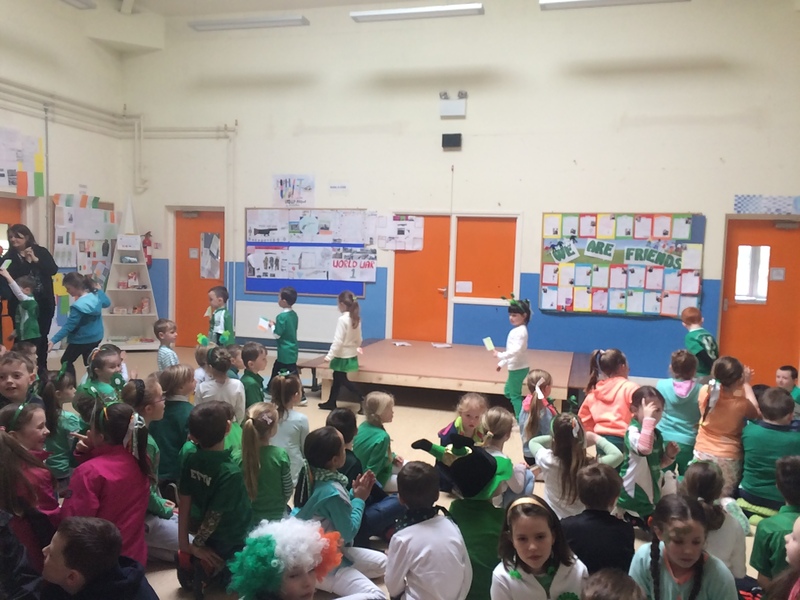 Along with schools all over the country, we raised our Irish flag and had a concert to mark the occasion. 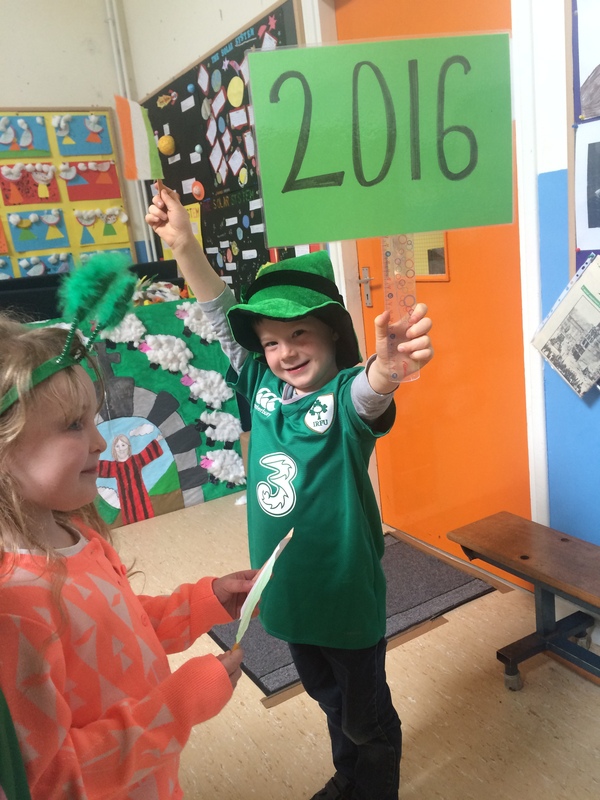 Pictures from this celebration can be found in the Gallery section of the website. 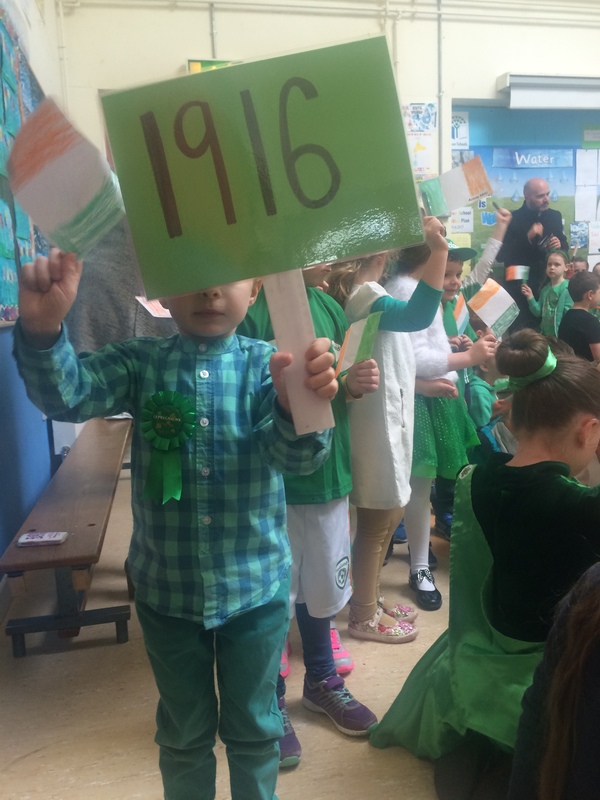 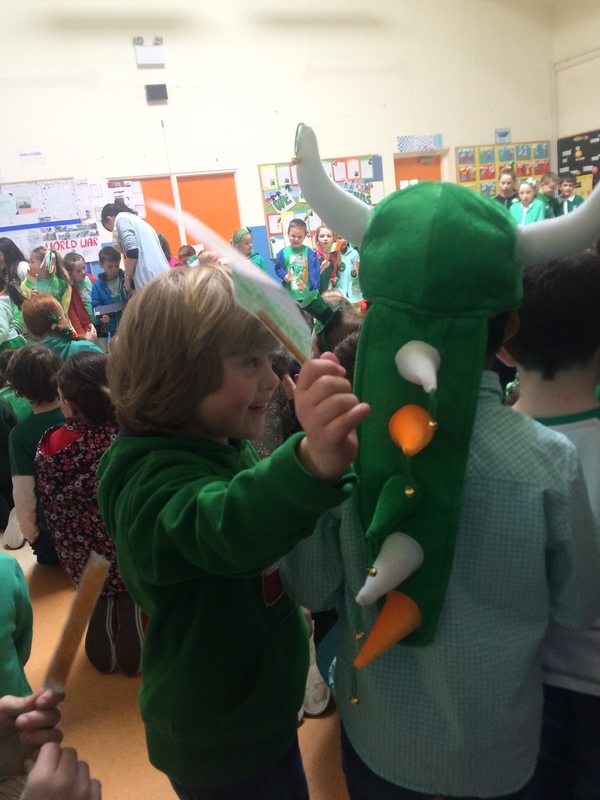 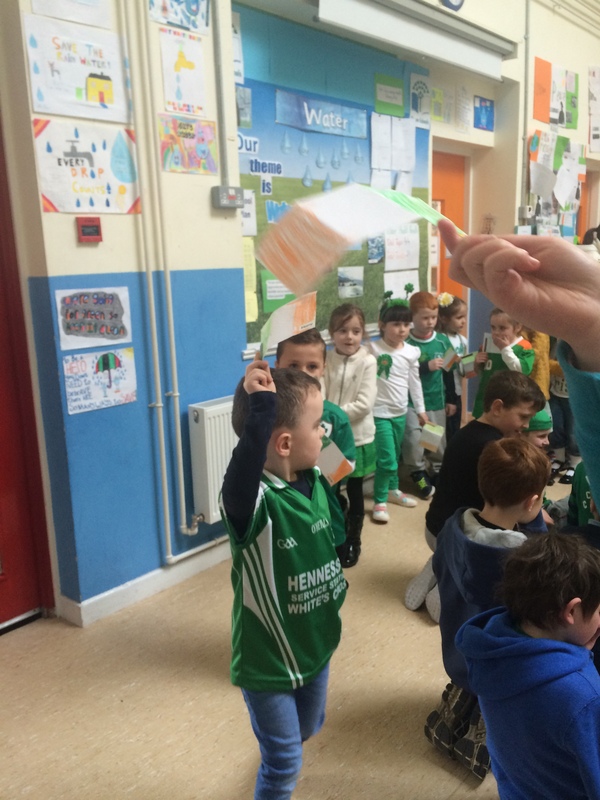 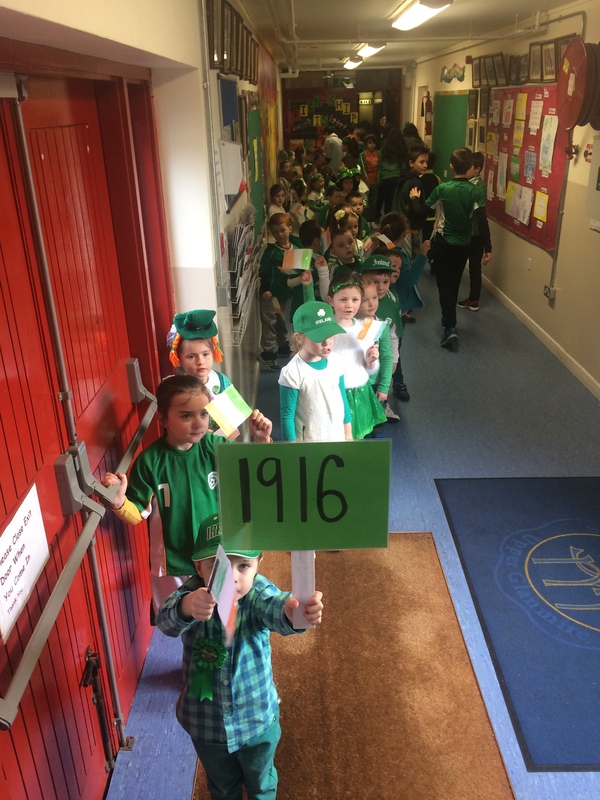 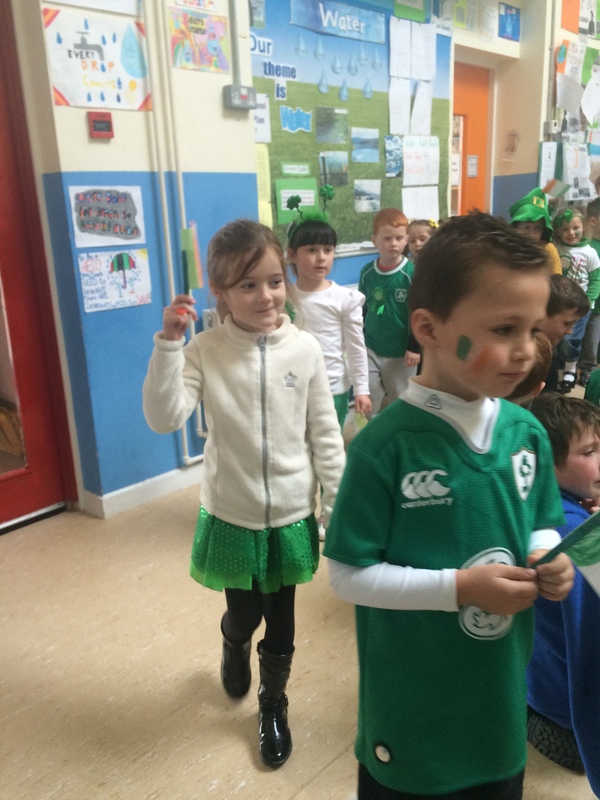 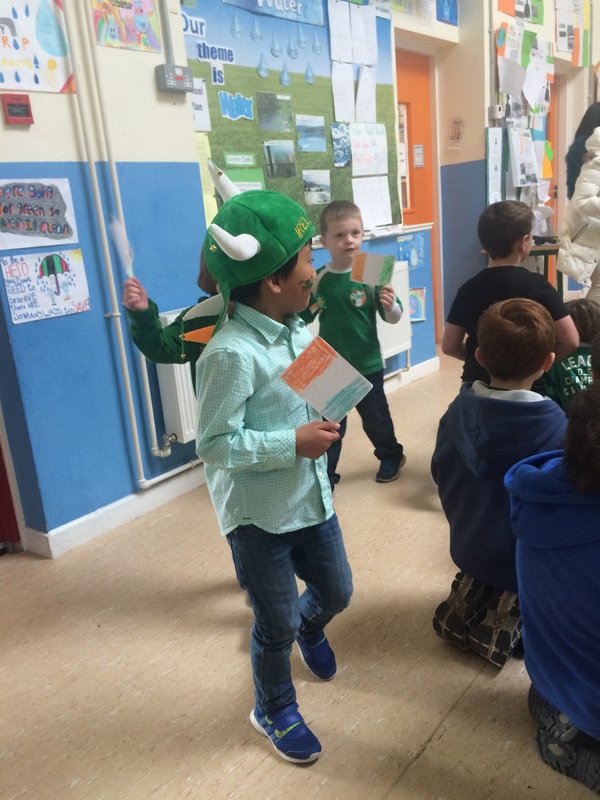 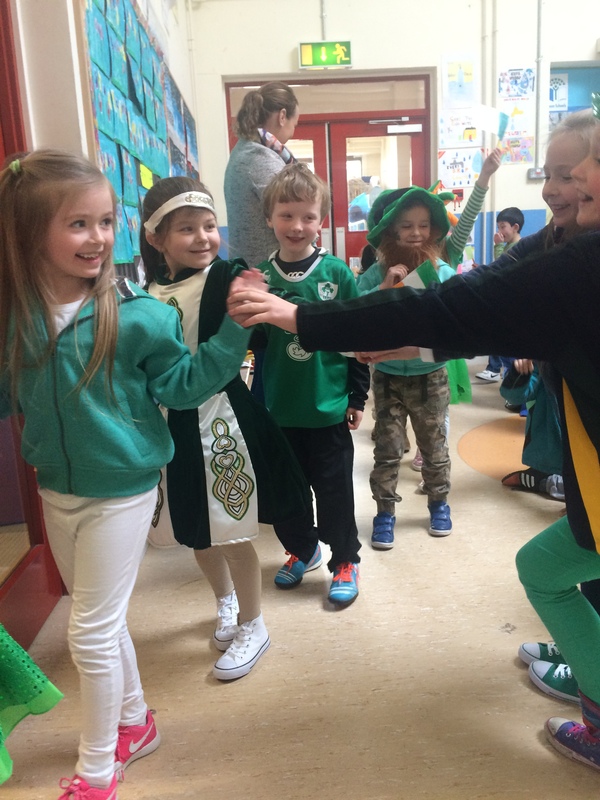 The following day, Junior and Senior Infants marched in a Proclamation Parade. 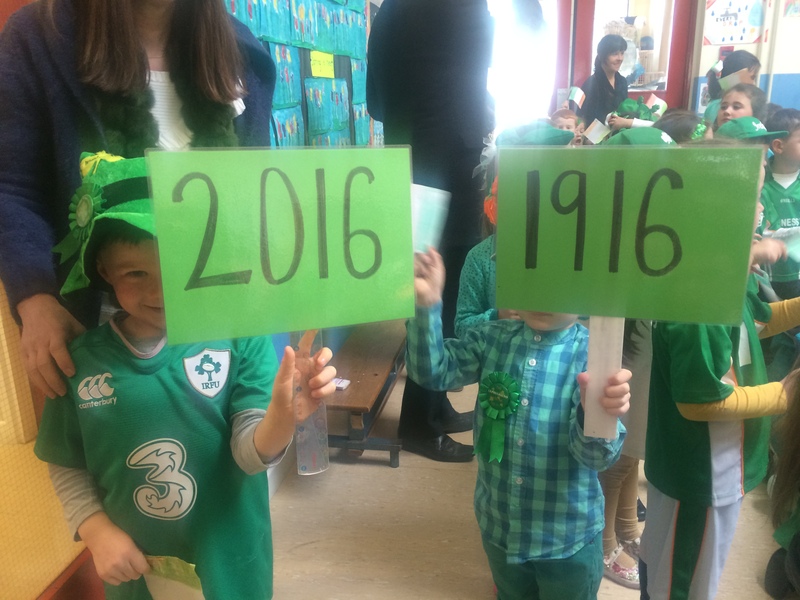 This was a fun way of involving the youngest children in our school. 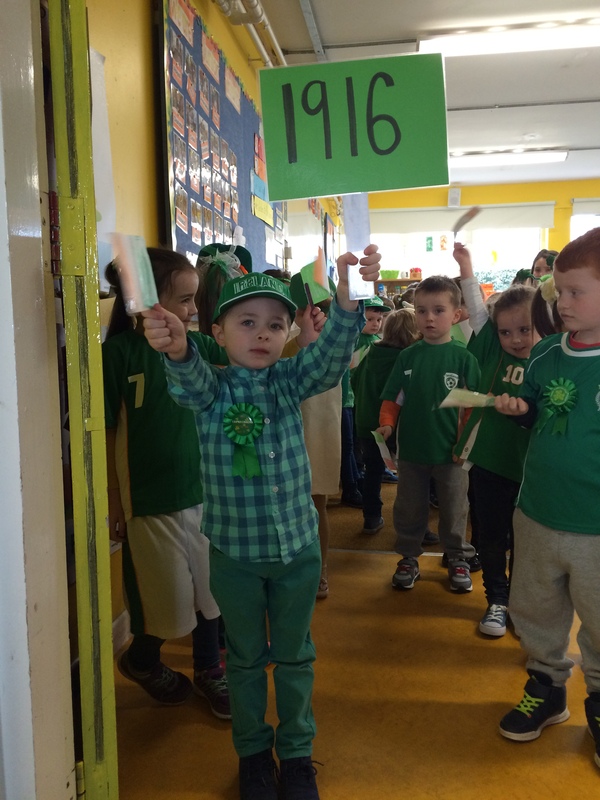 We had a loud and supportive audience for our parade as the children from some of the older classes came to watch. 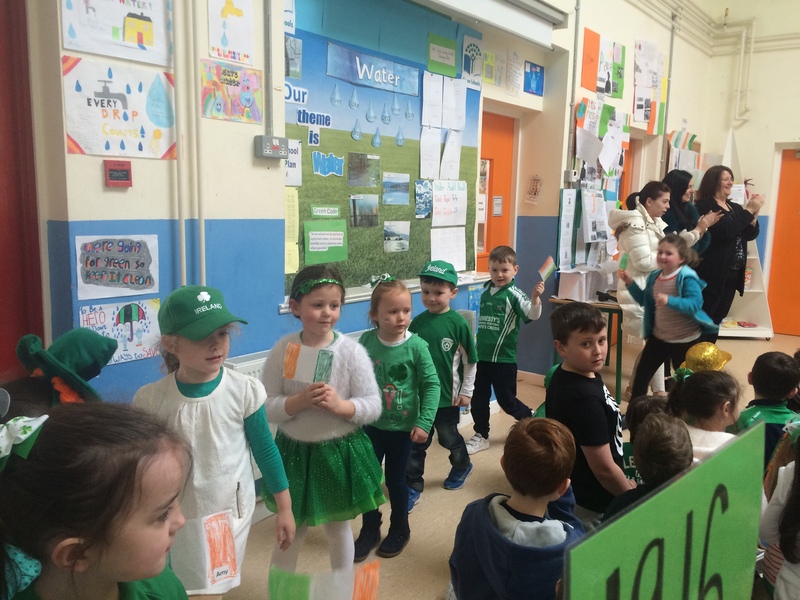 See pictures of our parade below.